For yet another year, the end of the New York State legislative session heralds a year-long renewal for mayoral control of America’s largest school district. That it was renewed late on a Friday evening isn’t really the news; it’s the who and why and how-it-was-all-negotiated that sparked a wide range of reactions over this past hot and humid summer weekend. An opening observation: Folks who are normally violently opposed over education reform or the pace of change in the city’s schools were, oddly, aligned on this year’s extension. Supporters of charter schools and school choice, for instance, who have little reason to support Mayor Bill de Blasio as he implements an agenda many of us deem anemic, supported an extension of his authority. Like Churchill once offered about democracy, mayoral control is the worst form of governance…except for all the others. Which is to say that even if you disagree with the mayor’s strategy, when he’s in charge at least you can demand that he have one. Additionally, the absence of mayoral control would mean anarchy for New York City schools. Anarchy is a strong word but the system of local board control that preceded mayoral control was a snake with no head and a million tails. It had few controls, less direction, and was deeply corrupt as even the mayor has admitted. In this case, the “no control” of the prior system was something all involved wanted to avoid. Which raises another question: If everyone wanted an extension, why only extend mayoral control for one year? 2. Why: How Long Will This Be Going On? 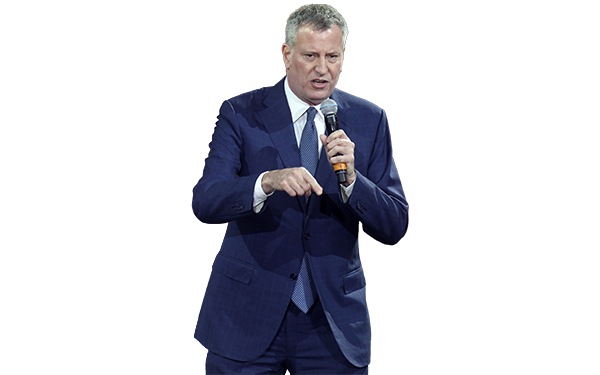 Mayoral control is a signature policy holdover from the administration of Michael Bloomberg. Though not without its challenges, many see the tenure of Mike Bloomberg as mayor with Joel Klein as his chancellor a golden era of school improvement in New York City. Even people who attacked Mayor Mike’s New York — de Blasio chief among them — admit that mayoral control is the way to go. But the devil is in the details — and, more importantly, in the performance. And under Mayor de Blasio that performance is suffering. The mayor’s flailing renewal school strategy, the removal of simple letter grades to help parents understand school quality, and the mayor’s opposition to high performing schools of parent choice, many of them charter, amount to an all-out attack on progress. If his agenda were a bomb it’s being dropped right on educational progress. Which is why, aside from a political score that still needs to be settled between Senate republicans and the mayor (who sought to unseat many of them in the last election) there is little incentive to give the mayor a long-term extension despite his argument that, like Bloomberg, he should receive one of at least seven years (long enough to get deep into a second term and negotiate a new contract with his supporters at the United Federation of Teachers). Bloomberg at least had the confidence of the legislature and a vision that included improving district schools and expanding choice for parents. De Blasio, despite his protestations, seems unable to do these things simultaneously. And this lack of effectiveness or vision is a key factor in Albany’s deliberations about whether to renew mayoral control at all and, indeed, for how long. Good politics makes allies just like bad politics makes enemies, which is why, despite a proposal from the Assembly to extend mayoral control for three years, the Senate — which strongly supports parent choice and charter schools — only backed a one-year plan. The mayor’s opposition to what are some of the state’s best schools and school networks, particularly where the education of New York’s African American and Hispanic children are concerned, remains a point of contention for the Senate and its education leader, John Flanagan, who is also a vocal proponent of charter schools. The mayor’s political obstinance on school choice and his opposition to networks like Success Academies specifically has left him boxed in. He will clearly be unable to secure a multi-year extension of his powers with the legislature organized as it is, and a pound of flesh will be extracted every time he returns for an annual renewal. This year, that pound of flesh came in the form of two last-minute provisions: The city will now have to follow state rules in reporting budgets for each of New York City’s 32 community school districts, and some charter schools within the city will now be allowed to request oversight by a different entity. It’s this last, somewhat vague addition to the legislation that may prove to be a game changer for some of the city’s most elite schools. Thanks to the Senate, starting in 2017, high-performing charter schools in good standing will be allowed to shift from the city’s Education Department to the state’s Board of Regents of the State University of New York System. This creates new choices, and new opportunities, for New York City’s top performers. For the mayor, what went down in Albany this month surely seems like the worst of both worlds. For many New York City kids, it’s perhaps the best of at least one of them. 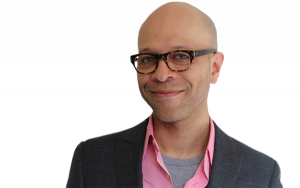 Derrell Bradford is the executive director of the New York Campaign for Achievement Now (NYCAN).